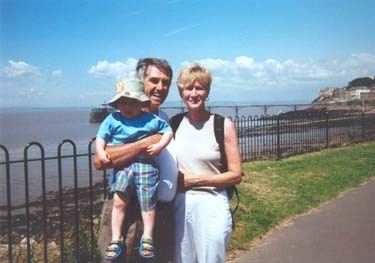 Note: the photo above is of Shirley and Bill at Clevedon beach near the Nelsons' home in Nailsea, Somerset, while on exchange this summer. 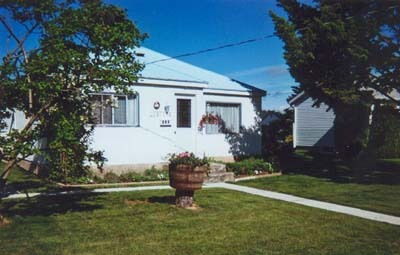 The photo to the right is of the Lesters' home in Cranbrook, BC, and the photo below is the Nelsons' home in Nailsea, Somerset. Sadie Nicholas, a freelance writer, recently approached Home Base Holidays for help in finding an experienced home exchanger willing to be interviewed for a feature on home exchange for the Daily Mail's Femail section. The article is on holiday house swaps that haven't quite lived up to expectations, for whatever reason. One member has already been interviewed for the article but Sadie now needs one more 'case study' - and her deadline is very close! Sadie assures us that the interview won't be time-consuming, the participant will be able to read the finished article before publication to ensure it is accurate plus will receive £500. Sadie has also assured us that the article will make it clear that the vast majority of exchanges, carefully arranged in advance, work very well indeed. 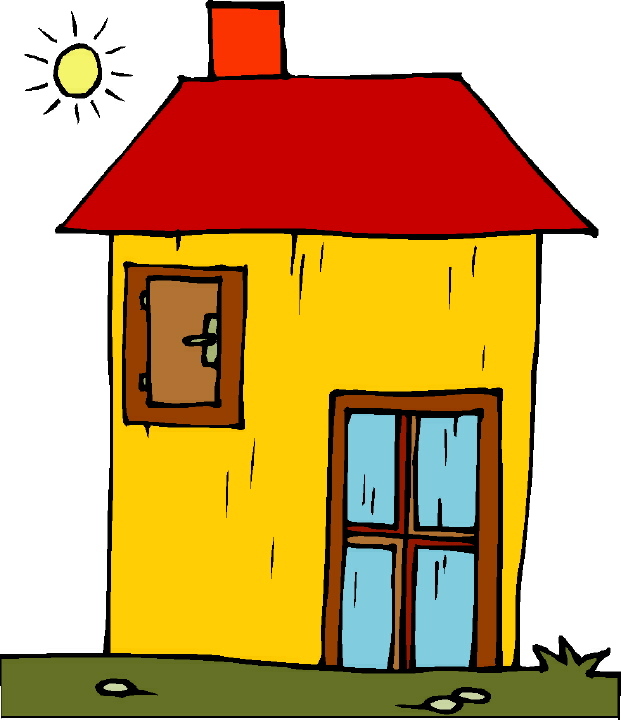 If you live in the UK, have taken part in home swaps, have encountered any hiccups during the course of an exchange and would be prepared to talk to Sadie (plus have your photo taken outside your home), in return for payment of £500, please send a short report of your exchange experience problem; include your name and User ID (if you are a member), phone number and the best time to call you. Your message will be forwarded to Sadie who will contact you directly (if your message arrives before her deadline). A: Yes, you can certainly swap homes for short break weekend exchanges as well as for longer holidays. To find current Home Base Holidays members interested in weekend exchanges, use the Advanced Search page on the website. Choose England from the drop down country list and Weekend Exchange from the drop down Type of Exchange list and Search. The results will give you an idea of those members most likely to be interested in your weekend home exchanges offer before you join. You live in a very attractive area so should find lots of interest in weekend swaps! You could also, if interested, use membership to look for possible longer exchanges, explaining in your listing your need for a home close to a hospital where dialysis would be available for your husband. Hopefully, if you arranged a home exchange in another European Union member state, this would be available free of charge (as per form E111, Certificate of Entitlement to Benefits in Kind, available at UK post offices) but you would of course need to check this out before arranging an exchange outside the UK. Can a Home Exchange Ever be Guaranteed - Like a Toaster? I was answering a Home Base Holidays enquiry today, trying to be as honest as possible about the enquirer's chances of arranging the exchange he wanted. On the positive side, his newly built home sounded lovely and was in a beautiful and well known location in Mexico that would, I'm sure, attract much interest from many people who would love to swap homes with him. However, his own destination request was for a very specific city/area in the US with dates that were inflexible and he 'would expect the exchange home to be as luxurious as my own.' Not a lot of leeway there! I directed this enquirer on how to easily find current exchange offers on the website by limiting his search to his city of interest. I did feel it was only fair to point out, though, that finding a suitable swap could be problematic unless he was interested in other exchange possibilities too. Another recent enquiry started, 'Before we take up both yours and our time with a membership, give us a realistic assessment concerning our prospects for a swap'. This seemed a reasonable request and, indeed, in this case, as the enquirers not only lived in an attractive area but also were quite open on destinations they would consider (and we have lots of exchange offers in these locations), their chances of arranging an exchange would be very high. However, even in this case, it is impossible to actually 'guarantee' that they would arrange an exchange. As exchange arrangements are made between members directly, much depends both on how flexible they are on destinations/dates and on their own efforts in finding and arranging suitable exchanges. This whole idea of guarantees is an interesting one. If I bought a new toaster with a one year guarantee, and it didn't work, I would expect it to be repaired or replaced during the guarantee period. If the guarantee was that the one year guarantee period would be extended for a second year free of charge (rather than that I got what I wanted during the first year - a toaster that worked! ), the guarantee would be meaningless. In home exchange terms, a free second year circulation for an exchange offer could be useful but, like the broken toaster, would hardly be much of a benefit for someone with set dates during their membership year when they wanted to exchange. In this case, a second year free home exchange listing would be as much use as a broken toaster, i.e. no real guarantee of arranging an exchange at all. For this reason, you won't see the word 'guarantee' on the Home Base Holidays site but we try our best to ensure a good number and balance of up-to-date exchange offers to maximise your chances of arranging a suitable home swap. Swap your home with someone in a country or area you want to visit and you will both enjoy all the comforts of home - for free - with often a car as part of the deal! This is the title and introduction to a 'how to' article on home exchange I wrote recently for wikiHow. I came across wikiHow after finding eHow.com as a result of a search on, of all things, how to get rid of moths! I was really impressed by the amount of useful information available on this site on just about every topic under the sun. wikiHow (described below) is a wonderful follow-on idea, enabling anyone to share their knowledge on a subject. All the 'How to' articles on wikiHow follow a similar format, with the subject matter given in point form under three headings: Steps, Tips and Warnings. This is a logical, easy to read format that works very well. What I particularly like about the wikiHow concept is that the aim is to provide useful, unbiased information rather than promote services or products. Let's face it, however much free and useful information a business website or weblog (even this one!) provides, this can never honestly be considered truly objective when one of the purposes will inevitably be to promote one particular service. wikiHow: a collaborative writing project aiming to build the world's largest how-to manual. wikiHow was started by eHow.com. While eHow already contains instructions on how to do thousands of things, by working together as a group the wikiHow community can build something bigger and better. We envision this huge how to manual providing unbiased, accurate instructions on every topic imaginable. Following on from the post yesterday, The Travel Doctor: Looking after Travellers' Health, here is another source of useful pre-flight information for air travellers: Aviation Health is a non-profit company promoting the health and well-being of airline passengers worldwide. Aviation Health is described as 'unique and provides information on all aspects of air travel and health from research studies, pregnant passengers, DVT, jetlag and news stories to a Medical Centre for health professionals, a seat pitch table and a shop with health products for air travellers.' 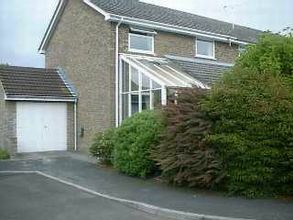 This is another site that should be useful for home swappers about to depart for their exchange homes on long-haul flights.